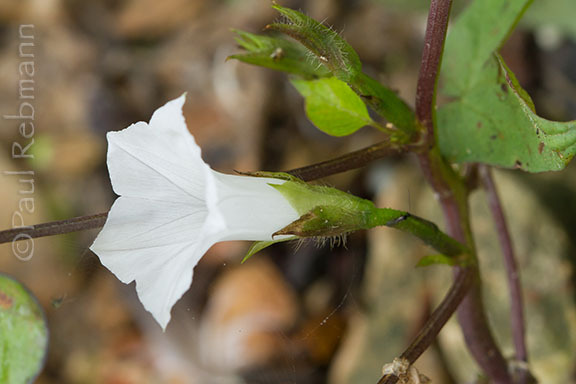 Whitestar is an uncommon morning-glory of marshes and swamps in Florida, found mostly in the panhandle, but also occurring in Levy, Alachua, Seminole, Palm Beach and Miami-Dade Counties. The range includes moist fields, roadsides and disturbed sites throughout the southeastern United States, north as far as Iowa to New York, plus Massachusetts, west to Kansas, Oklahoma and Texas, plus California. 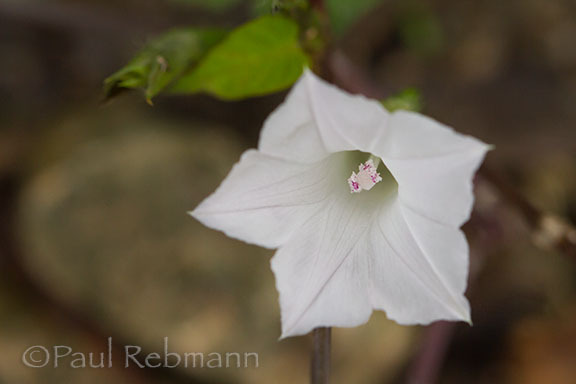 The flower is white, sometimes tinged with pink, funnelform and up to 2.5 cm (1 in.) long. 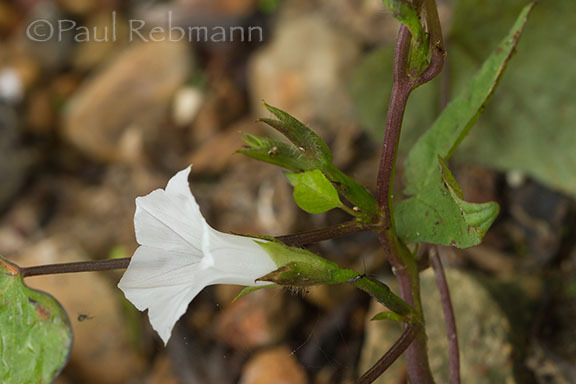 Anthers are purple and the sepals lanceolate. 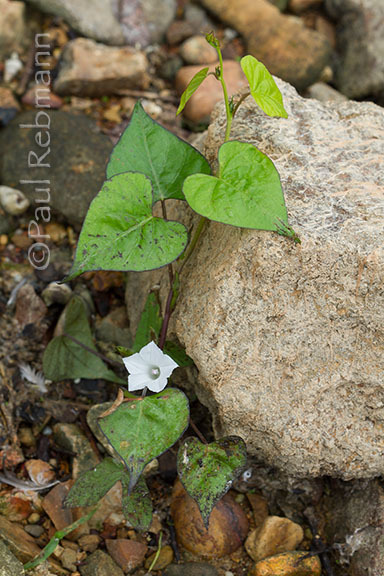 The plant is a twining herb with three-lobed or heart-shaped leaves. 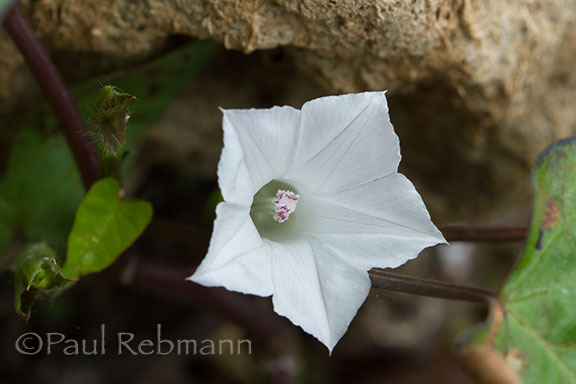 Ipomoea lacunosa is a member of the Convolvulaceae - Morning-glory family.